Blue skies are out which can only mean highlights and summer colours are in. Stop by for a free consultation. 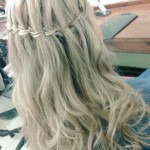 RT @HairshareSalons: Blue skies are out which can only mean highlights and summer colours are in. Stop by for a free consultation.